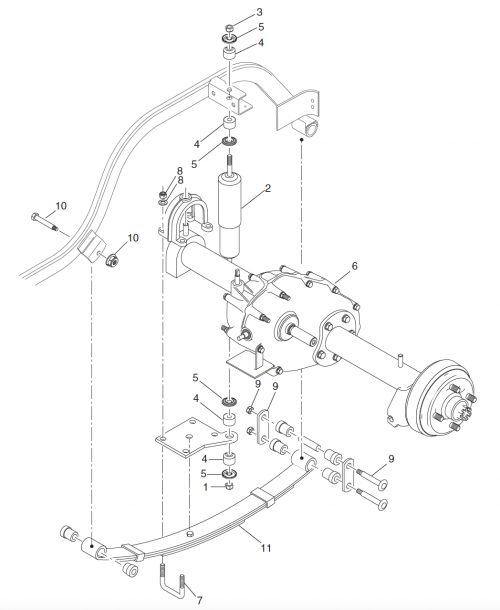 The rear suspension assemblies contain rear axle, springs and shock absorbers. Furthermore the rear axle is mounted to the rear of the engine via a ‘U’ bolted casting. Take off the shock absorber. Lift the back of the vehicle off the chocks and situate in a normal position. 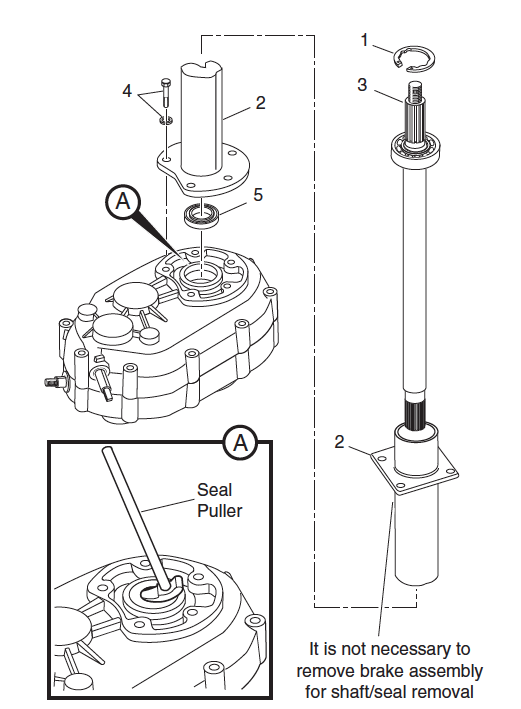 Rear spring installation is the reverse order of above. However when tightening the shock absorber nut, do so until the bushing expands to the diameter of the shock absorber washer. All front spring hardware should be torqued to 21-25ft. lbs. (28-34 Nm). All other fittings should be torqued to 18-22Ft. lbs. (24-30Nm). Remove the rear axle from the cart. 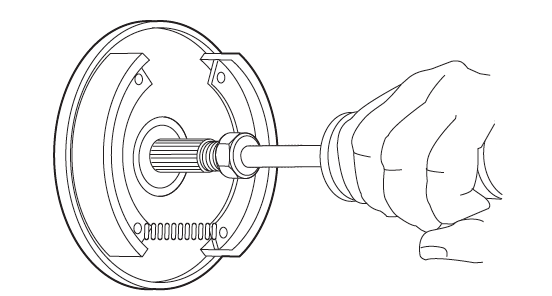 Rear axle installation is reverse order of above. 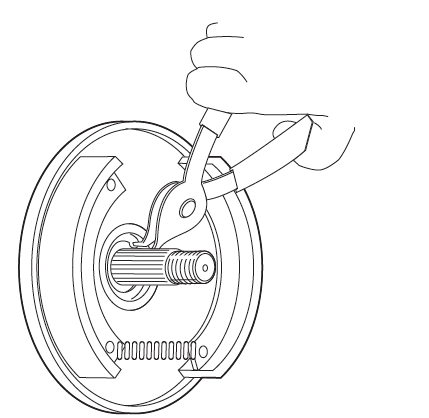 The neutral lock prevents the driven clutch from turning the back wheels when towing or during servicing. You can find the neutral lock at the direction selector. 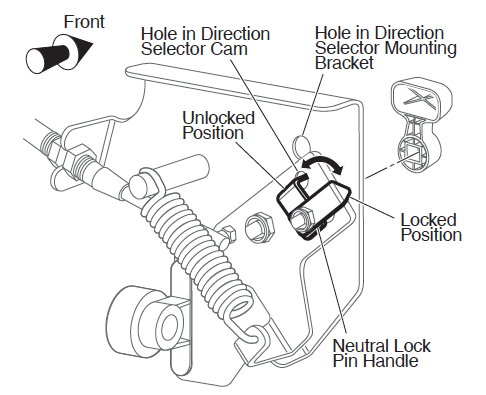 To reinstate the direction selector, retract the neutral lock pin handle out and turn until the pointed part of the handle fits into the hole of the direction selector cam. 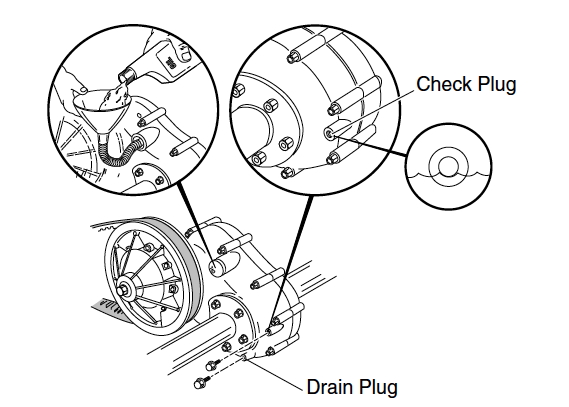 The rear axle contains a lube oil level check plug near the drivers side. Should lubricate be needed, remove the fill plug and fill with the aid of a funnel. Check level routinely when filling, total capacity is 40 fl. oz. (1.2L). 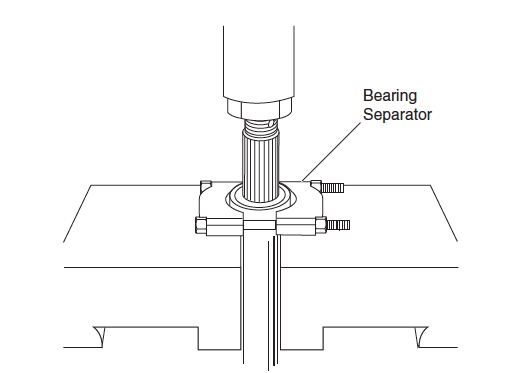 Put force to the threaded end of the axle shaft. 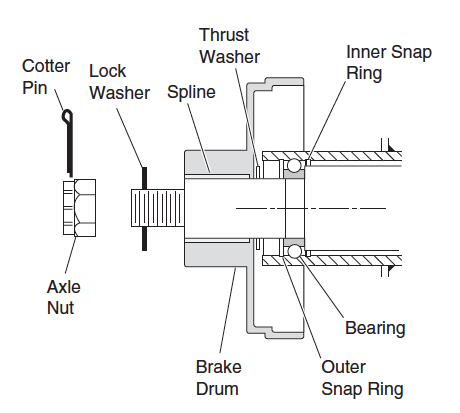 Replace seal with the aid of a plastic faced hammer and torque nuts to 26-31 ft. lbs. (35-42Nm). Reinstate brake hub and drum, thrust washer, nut and new cotter pin.